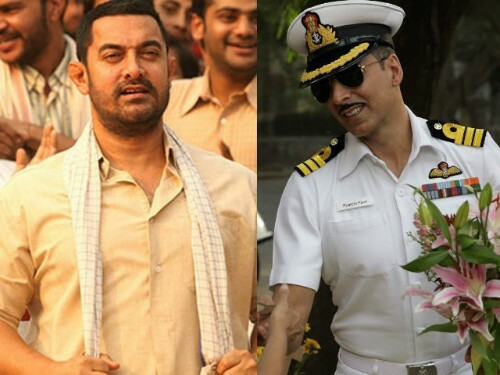 National Film Award's select Best Actor Akshay Kumar Over Aamir Khan. 4. Akshay Kumar's acting is good then aamir khan in dangal. Akshay Kumar is best then aamir. Akshay Kumar's National Award win will be a sign that other awards show like iifa and others are on sale. and why akshay would not nominated in these awards. so here are the true sign of best actor Akki Paji He will be verified by National Films awards. While announcing the National wards in New Delhi on Friday, jury chairman Priyadarshan revealed that the final choice for Best Actor was down to Akshay Kumar and Mohanlal, who received a jury award. Akshay, it appears, was awarded for his body of work in Rustom and Airlift, specifically his "range from playing a real life character and doing a tailor-made role." Priyadarshan also revealed that the jury re-watched Dangal and judged it lacking. "I recalled Dangal saw it again but it missed because the regional films were brilliant," he said. That now hallowed weight gain and then loss on Aamir Khan's part did not impress either. "It's not just someone looks right for the character, we cannot call him Best Actor. Mohanlal and Akshay have survived for so long, we thought it's good encouragement," Priyadarshan said.